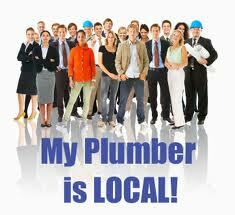 Plumbers Sandyford, the team to trust when looking for a local plumber. If you need a team that are reliable and conscientious our Sandyford plumbers will be able to provide any services you require. We offer a friendly plumbing service with the highest standard of workmanship in the south Dublin area. We guarantee a call out time of less than 60 minutes 24 hours a day, 365 days a year. We provide a complete service with extremely competitive pricing. We do not charge for call outs and offer free professional no obligation quotes. Our company pride ourselves on our customer service. We don’t do hidden fees or charges, we don’t charge traveling time or parking fees. Our vans are always fully stocked so as there is never a need to be “fetching parts”. All of our work comes with our 1 year “plumber Sandyford” parts and labor guarantee for our clients additional peace of mind. We allow our domestic and commercial customers to concentrate on their own business, our job is to provide the solutions and support. Our local Sandyford Plumbers are reliable with a commitment to provide quality services that put safety and reliability first. • Leaking pipes replaced and repaired. • Bathroom and kitchen refurbishments and installations. • We provide a 24 hr emergency plumbers Sandyford service, 365 days a year. • Drain unblocking using jet flushing. Always use an R.G.I. registered Sandyford plumber. We do not employ any staff that are not R.G.I. registered and we carry full indemnity insurance. We are happy to offer free advice and give you a free no obligation quote. Call 01-6874850 today to speak to one of our senior staff in Sandyford. When you need a plumber in Dublin remember to call plumbers Sandyford. We can provide the expertise for all the works you could ever need completing.